Reading & Rhythm on the Riverfront (R3) is the Detroit RiverFront Conservancy’s unique, interactive early literacy program that provides children from southeast Michigan an opportunity to see live children’s entertainment, hear a story read by a local community leader and receive a free book, as well as a ride on the lovely Cullen Family Carousel. The R3 program presented by the Detroit RiverFront Conservancy, with support from General Motors, stretches six weeks throughout the summer and features readings by local celebrities, as well as business and community leaders. 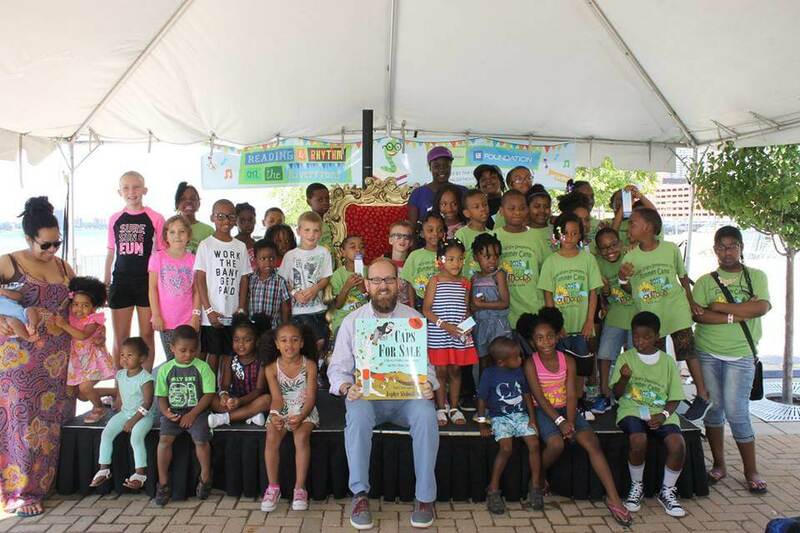 The program also boasts live and interactive family entertainment, healthy treats, free rides on the Cullen Family Carousel and free books provided by General Motors in partnership with the Detroit Public Library’s “Library on Wheels. The 2018 program will run July 5 – August 10, with sessions taking place on Thursdays and Fridays at 11 AM, 12:00 PM, and 1:15 PM. Each session lasts for 45 minutes. Participants must participate in the session to receive a free book and carousel ride.